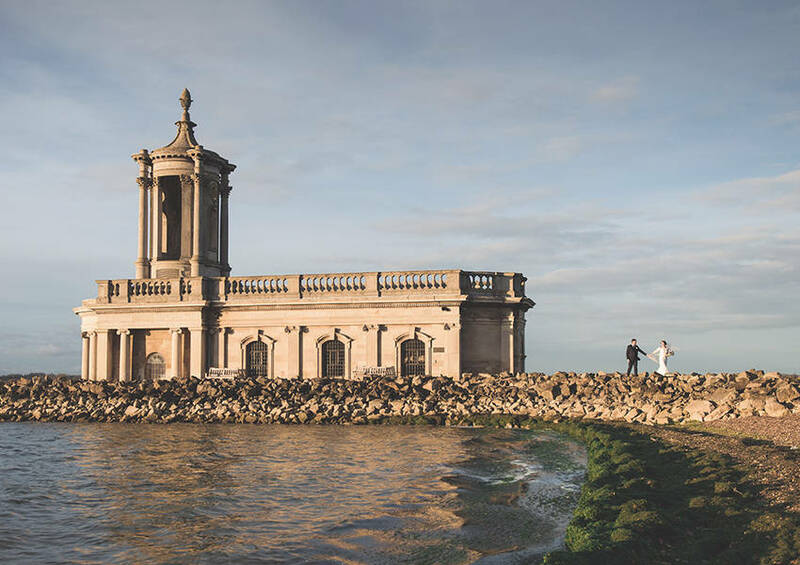 As a Rutland wedding photographer I’m really lucky to have the beautiful Normanton Church on my doorstep. 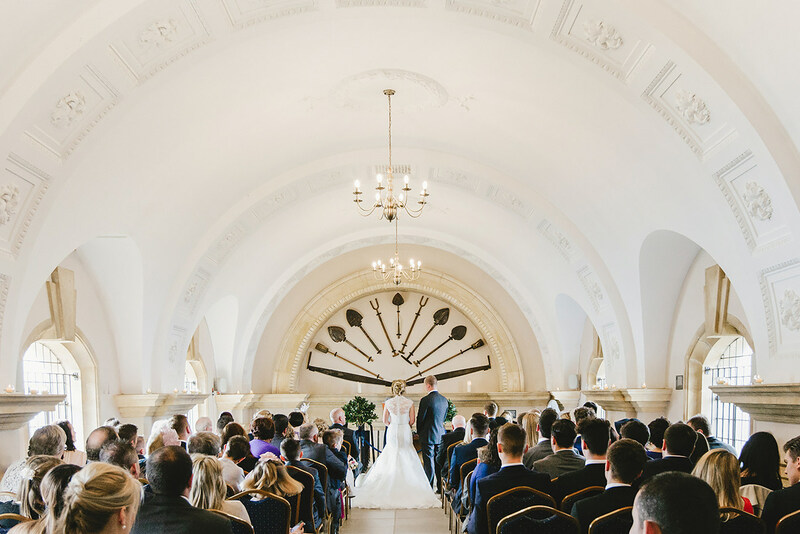 I’ve photographed lots of weddings here over the years and it’s still my most favourite venue in the area. 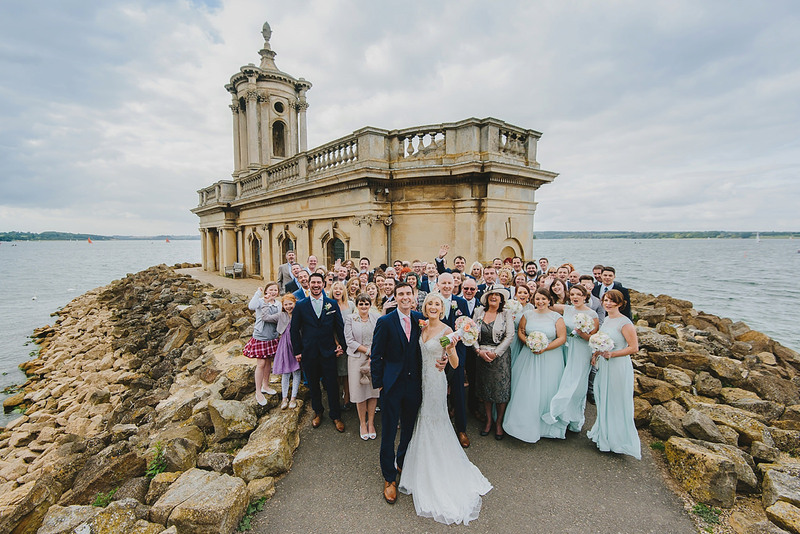 Apart from being simply stunning Normanton Church is one of the few places you can legally get married on water in the UK. It’s a little unusual when you enter as there isn’t a traditional aisle, depending on your seating plan. 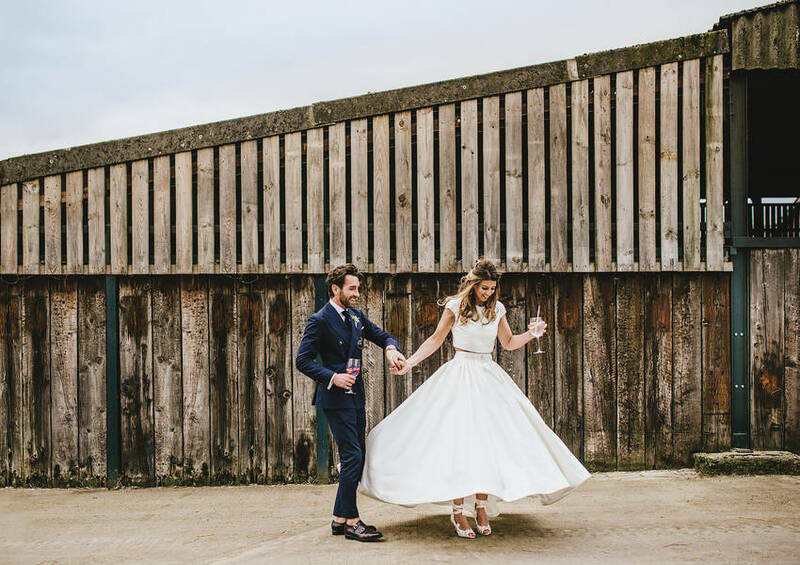 This means the bride can sometimes have the option to enter through the front door and walk the aisle towards the back, or to hide in the back of the church before the guests arrive to then use the traditional aisle at the front once they are seated. It sounds more confusing than it actually is but it’s worth bearing this is mind when you plan your ceremony. 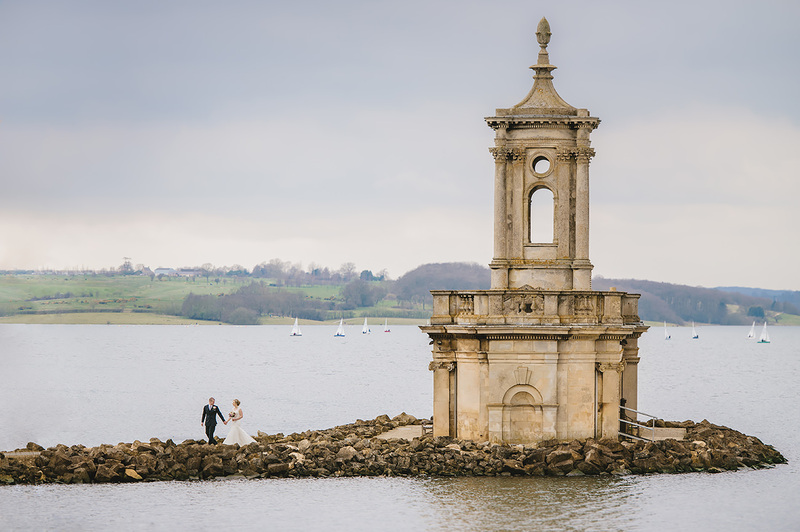 The view your guests will have when your ceremony’s held at the top end of the church, under the tower. 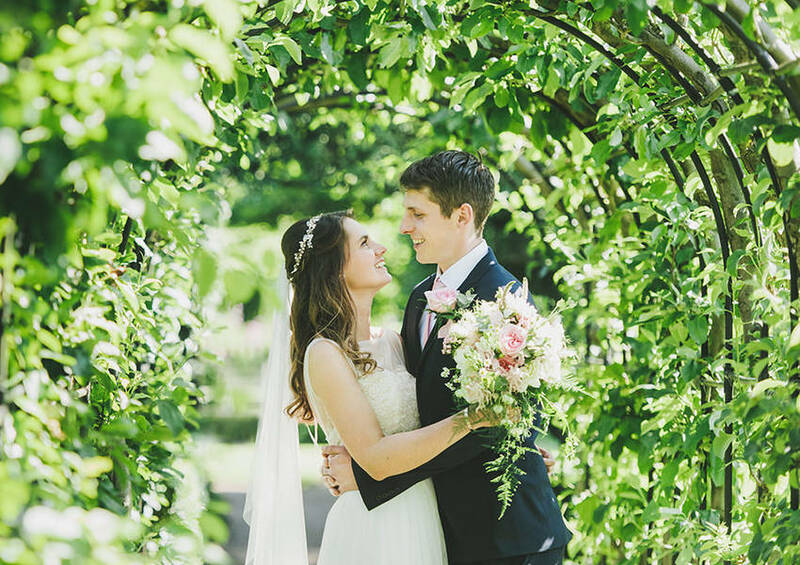 These shots show the traditional aisle entrance where the bride has arrived before the groom and guests. I love the unusual backdrop of the old farming tools! 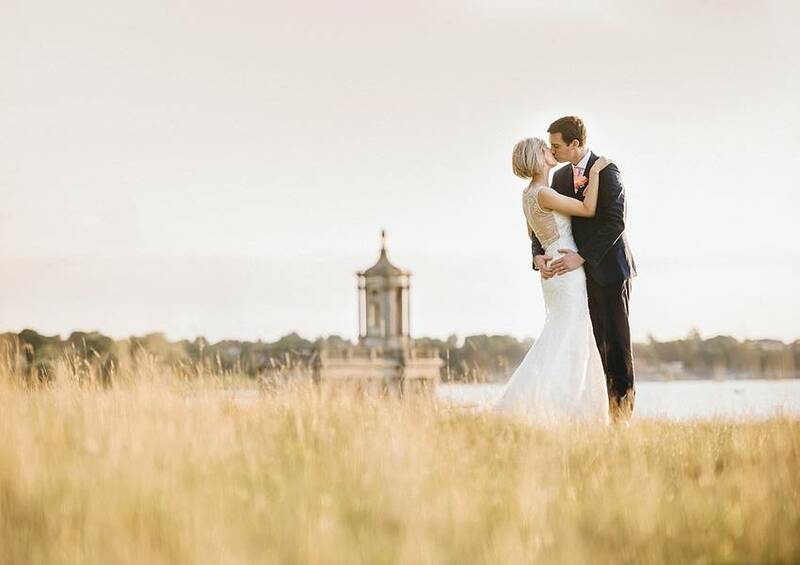 Normanton Church is every photographer’s dream in terms of location and lighting – lots of windows and bright decor offers up plenty of natural light during your ceremony. 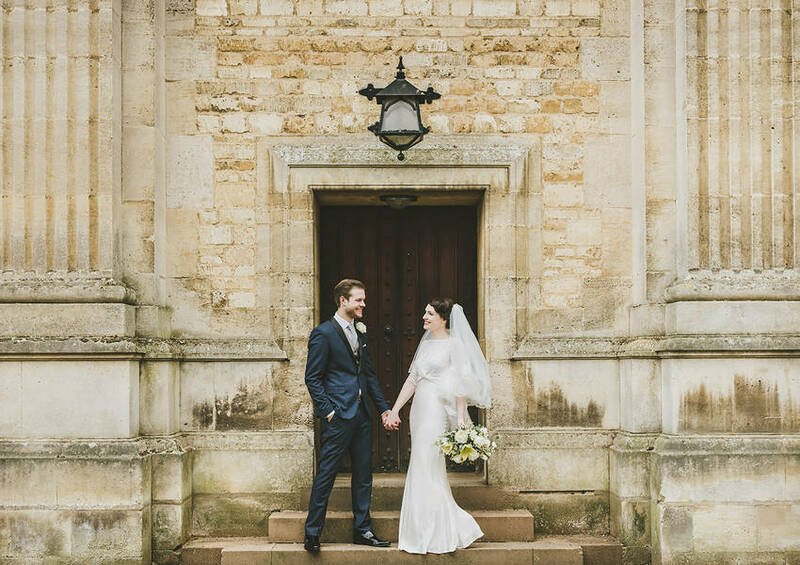 After your ceremony you’ll usually have about 30 minutes to use the church for photos, depending on the time slot your’e given by Anglian Water. 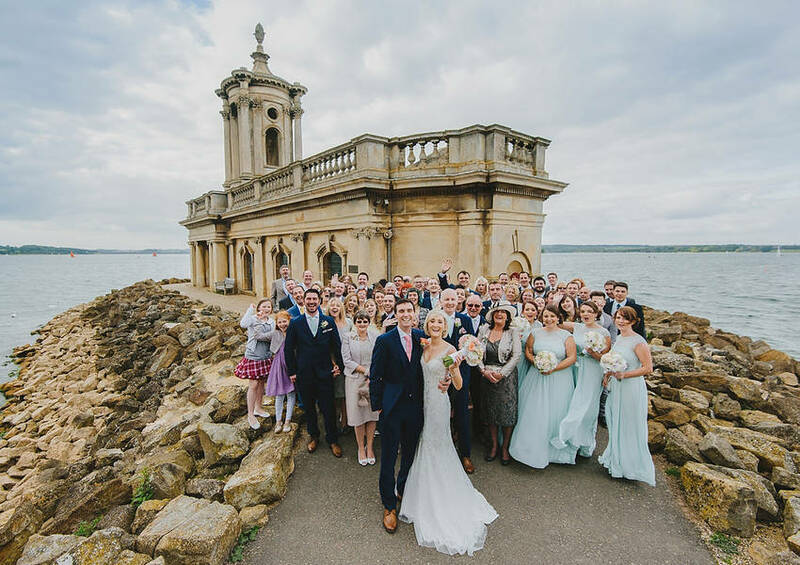 Because it’s so compact you can get a really varied selection of photos just using the immediate areas around the church, or you can venture further afield if you’re up for it too! 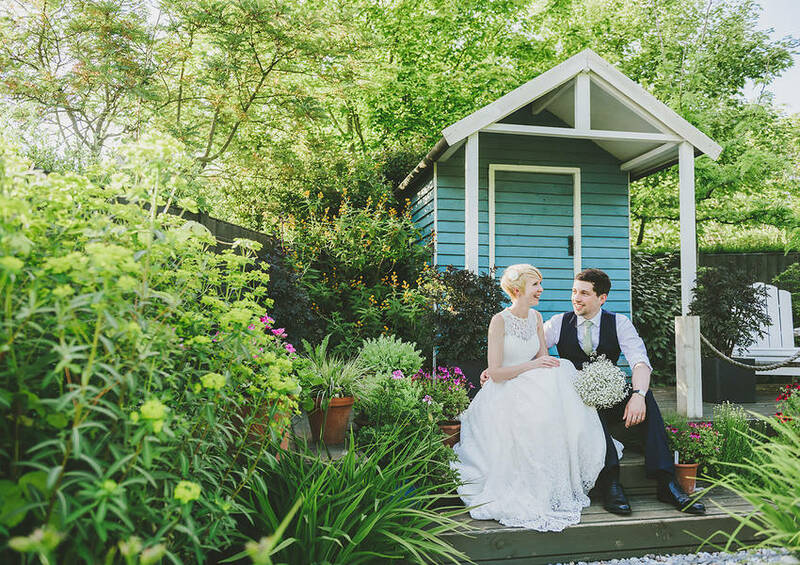 It’s also worth knowing that there’s nothing to worry about if the weather isn’t so wonderful outside too as you can always use the interior for some gorgeous group and couple photos if you want to. For such a small venue the options are really endless.